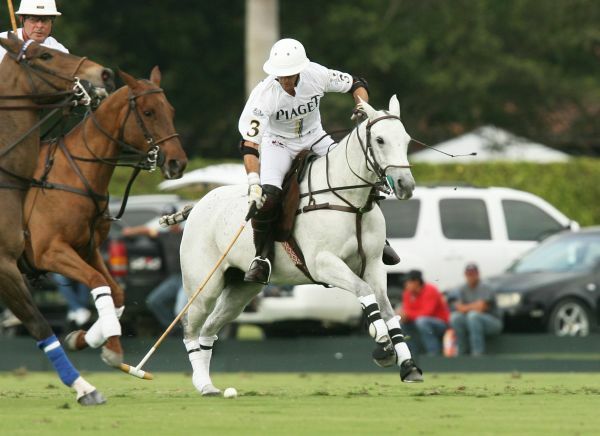 WELLINGTON, FL – January 18, 2013 – After a halftime adjustment, Piaget looked like a different team for two chukkers of the Joe Barry Memorial Cup Tournament. Despite holding Valiente scoreless in the fourth chukker and coming within one goal in the fifth chukker (10-9), Piaget was unable to shut down 10-goaler Adolfo Cambiaso and Alfredo Cappella Barabucci. 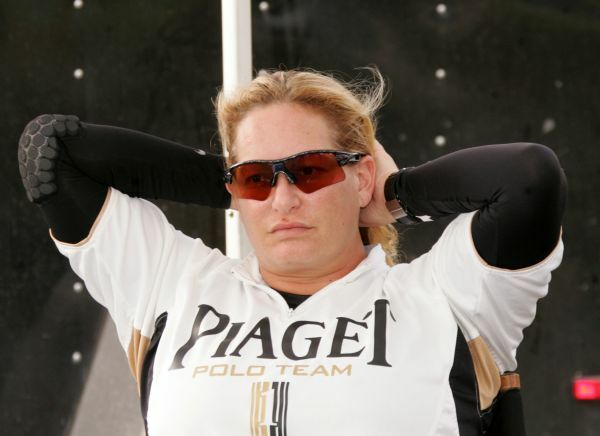 As a result, Piaget dropped a 16-10 decision to undefeated Valiente Thursday at International Polo Club Palm Beach. Cambiaso, arguably the best player in the world, and Barabucci combined for 14 goals, each scoring seven. Dominated by five of Cambiaso’s seven goals, Piaget trailed 10-6 at the half and regrouped at the break. “We wanted to go after Cappella more and changed up what we were doing on our knock-ins,” said Piaget coach Joey Casey. “The team executed everything we talked about at halftime in the fourth chukker. We scored two and they didn’t score any. They came back in the fifth chukker and we had some issues. Ten-goaler Miguel Astrada led Piaget with eight goals, seven of them on penalty shots. The Argentine has been amazing at the penalty line in Piaget’s first two games of the season. In Piaget’s season-opening 14-10 loss to Zacara , Astrada scored five of his six goals on penalty shots. 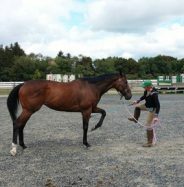 Piaget’s 18-year-old 4-goaler Joaquin Panelo, still adjusting to competing at the 20-goal level in the U.S. after growing up in the sport in Argentina, was undaunted by Cambiaso and Barabucci, fearlessly defending both throughout the game. 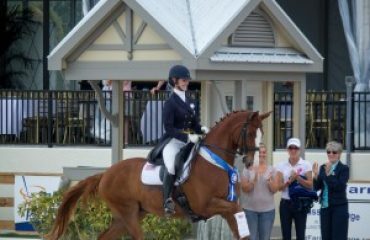 Piaget, one of the top teams in the 20- and 26-goal tournaments this season, and 2012 Ylvisaker Cup champion, is winless (0-2) in the Joe Barry Memorial Cup. Player-sponsor Melissa Ganzi, who scored a goal in the second chukker and played well defensively, remained optimistic about the team’s play. It was only the second time the new 19-goal team has competed together in tournament play. “We did turn it around in the second half,” Ganzi said. “We just lost our momentum. When you are playing against a team that’s so strong you have to do everything perfectly and it’s really hard to do that all the time. We came out and had a plan in the fourth and fifth but it’s hard to keep up that intensity for so long. “We have some young talent on our team and we are trying to develop Joaquin as a player,” Ganzi said. Added 5-goaler Juan Bollini, “Joaquin is developing, he is getting there. The team just had some bad momentum. At one point we almost caught them by one goal and then we just lost. I have to look at the tape and see what happened. Grand Champions Polo Club’s other elite polo team, Audi, will next face La Herradura on Saturday at 3 p.m. La Herradura leads their bracket at 2-0 and Audi is 1-1 in the same bracket, making for one of the best games of the tournament. Audi’s young sensation Carlitos Gracida will play against his father Memo and uncle Carlos, both former 10-goalers. 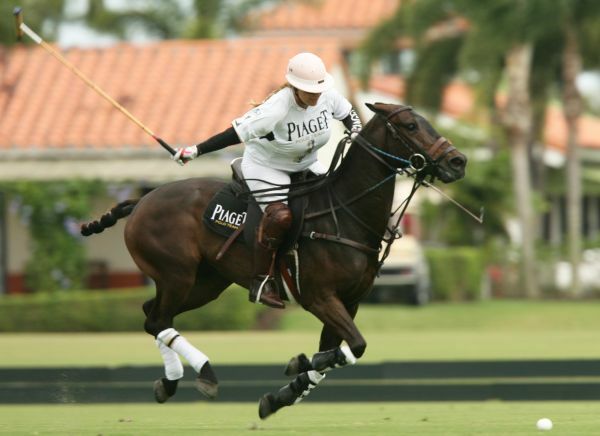 On Sunday, Piaget will return to the field against Lucchese at 10 a.m. 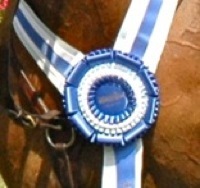 Call the IPC’s polo hotline for field assignments at 561-282-5290 . 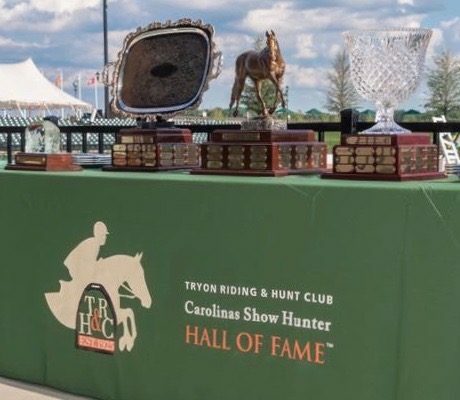 IPC, polo’s winter capital of the world, is celebrating its tenth anniversary with four 20-goal tournaments and three 26-goal tournaments including the 109th annual Maserati U.S. Open. Audi and Piaget will compete in every tournament. 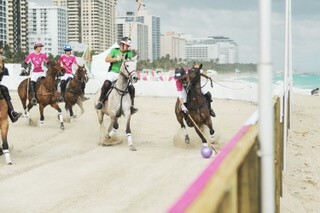 Among other season highlights are the Feb. 15 Polo Hall of Fame Inductions at the National Museum of Polo in Lake Worth and Outback 40-Goal Challenge on Saturday, Feb. 16 at 3 p.m. to benefit the Polo Players Support Group, Inc.
Piaget 10-goaler Miguel Astrada sets up to hit the ball with teammate Juan Bollini defending. January 19, Saturday: Audi vs. La Herradura, 3 p.m.; January 20, Sunday: Piaget vs. Lucchese, 10 a.m.; January 23, Wednesday, 1 and 3 p.m., Joe Barry Cup Semifinals; January 24, Thursday, 1 and 3 p.m., Bobby Barry Cup Subsidiary Semifinals; January 27, Sunday: Bobby Barry Cup Final, noon; Joe Barry Cup Final, 3 p.m.